When Will People Ditch Their Cars? 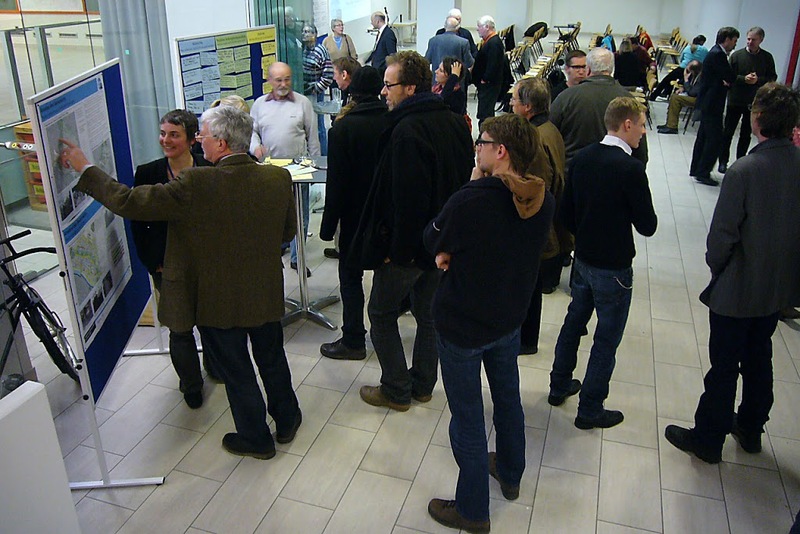 Last week we attended a further round of public engagement in Bremen’s ongoing Traffic Development Plan 2025. 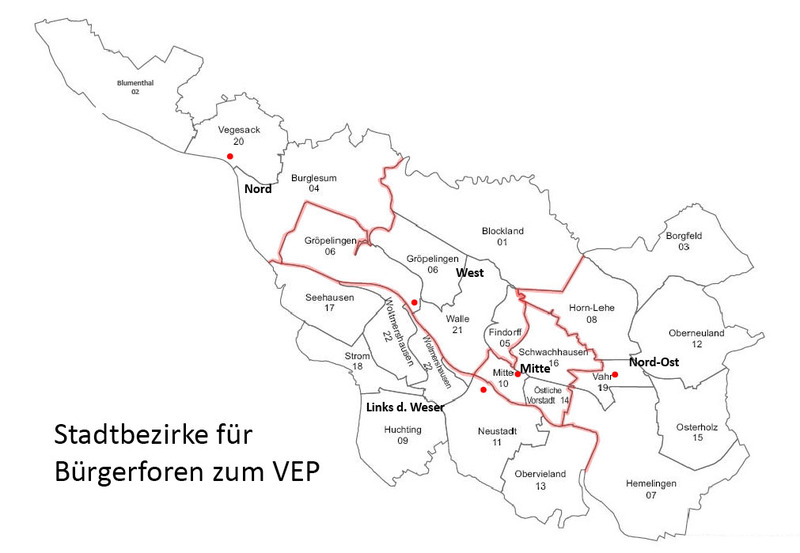 One of the interesting discussions we had involved another woman from the Viertel, our area of Bremen where private car mobility has only an 18% split, whilst cycling accounts for 28% of trips. Despite such low car usage, our streets are still full with parked vehicles, many of which apparently belong to local residents. The woman we encountered at last week’s meeting would appear to be typical of a lot of our fellow locals, in that she said that she “only rarely” uses her car for special trips out of the city. Most of the time, she guards “her” precious parking spot by not using it. We asked her what “rarely” meant and she replied with “perhaps once or twice a month”. Of course we were somewhat taken aback by this. 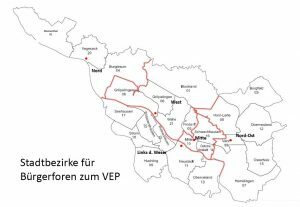 The Viertel has a comprehensive car sharing scheme, with 10 different pickup locations within an area no larger than two square kiometres. Why not save money and use this instead? No, she said, she had already done the figures, and reckoned that it was “cheaper” to keep her own car. 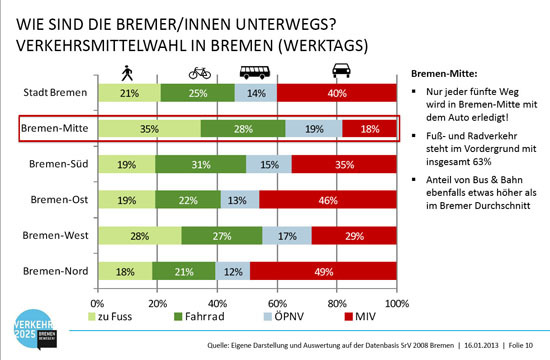 Intrigued, we decided to look at the figures for a typical car owner in Bremen ourselves, and compare these with the car-sharing scheme. We pay €9 a month as a couple to be members of Cambio, plus a per-hour and per-kilometre charge. But as long-term members, our tariff is no longer available. So I checked the Cambio website for the latest figures. €30 + (12 x €3) + (24 x €26) = €690 per year. 12 x (€169 + €7.10) = €2,113.20 per year. This is over 3 times the cost of using Cambio. So why does our good lady still believe that owning her own car is cheaper? Well, perhaps she doesn’t really use her car “one or two times a month”. Just as British voters historically find it embarrassing to own up to voting Tory, perhaps she is under-estimating her use to make it look good. Let’s say she uses her car twice a week instead. On this basis, Cambio’s costs would rise to €2,770, compared to €2,241 for a private car. This might be one explanation. But more likely, the up front costs of running a car are forgotten. We notice an awful lot of vehicles standing in the same parking spot for weeks on end. Car ownership in the Viertel is still high. But as the official figures show, car use is low. Many car owners conveniently forget the costs of buying a car in the first place when calculating running costs. And of course there is a reason. Other, non-financial, advantages to car ownership include convenience (as long as it can be parked outside your door), flexibility (especially when compared to public transport) and that most difficult of areas, the car as an extension of the self (identity through car ownership). Consciously or sub-consciously, car owners like to factor these in, especially where there is no car share facility nearby, public transport is poor, and car culture dominates. 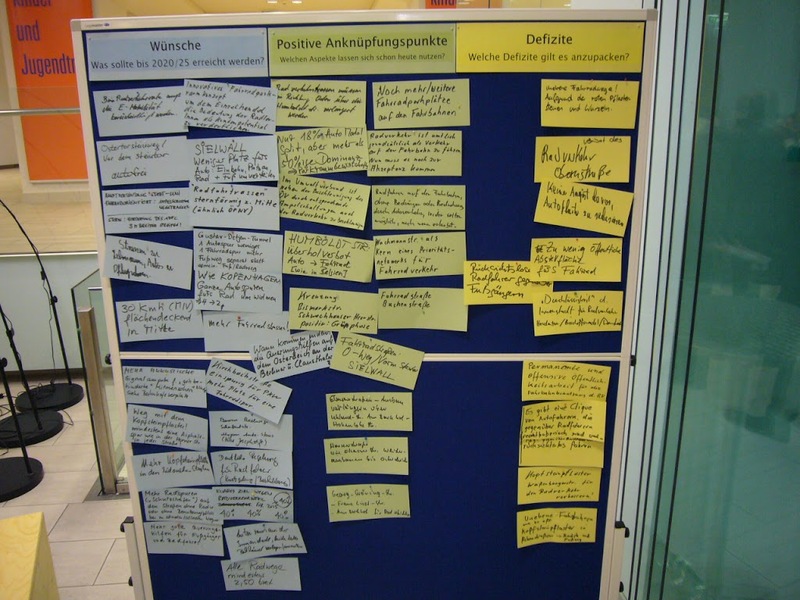 Yet in the Viertel, none of these apply. And the bicycle satisfies all three advantages. Could it be a quirk of Bremen’s transport history that a cycling culture has been developed alongside an equally strong car culture? The fact is, once the car is gone, we always think twice about hiring a Cambio car. Do we really need a car for this or that trip? 95% of the time, the answer is no. A bicycle, or for longer distances a train plus a bicycle, is more attractive. So in the end we use Cambio about 6 times a year. As a footnote, new figures have just been published showing what the average German spends on motoring in his or her lifetime. 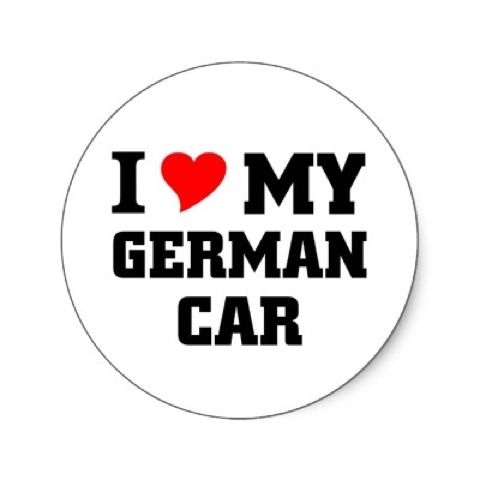 Typically, Germans drive for 54 years of their lives, and spend €332,000 in the process. That’s €6,148 for every year. When compared with what we spend on our Cambio membership and on public transport, about €1000 a year between us, it’s nice to know that we are saving enough for a comfortable retirement. Yes, I realise it’s more than a year since anyone posted here. There are good reasons. Firstly, due to a gradual reduction in active members, Darlington Cycling Campaign took the decision in 2012 to merge its activities with Darlovelo. 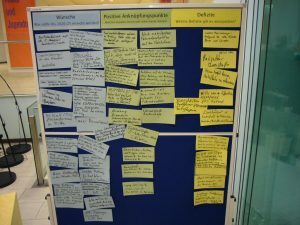 The latter had recently been restructured by its members, with the aim of expanding its campaigning role, so it made sense to combine our efforts. Darlovelo’s website is currently undergoing a number of updates that will reflect this change in the near future. Secondly, all our contributors have over time become otherwise engaged. 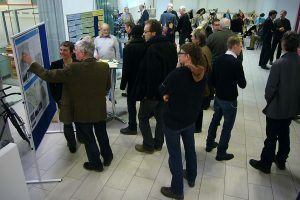 Richard & Beatrix are working in Bremen on cycling policy in Germany, Mike is a full-time family man, and Duncan is now working at Bikestop, leaving little time for any of us to provide a regular input. Be that as it may, those of us who are members of Darlovelo will do our best to sustain this blog as the voice of cycling campaigning in Darlington by mirroring posts from the Darlovelo site. Meanwhile, if there are any other budding cycling campaigners who would like to get involved, please get in touch. Darlovelo’s volunteers are preparing for the spring with a series of new offers for people wanting to try something bicycle-new. Welcome to the Darlovelo Family Pack, a flexible range of bicycle equipment that can cater for you and your children from age 2 right up to the early teens when they want their first “adult” bicycle. Research shows that the transition from child to adult bike usage is crucial if we want to increase the acceptance of everyday cycling in our town. Darlovelo’s Family Pack is designed to help, with everything from child seats to Dutch bikes designed for the young teenager, with specialist equipment such as the child trailer illustrated here in between. Full details will be available in March.